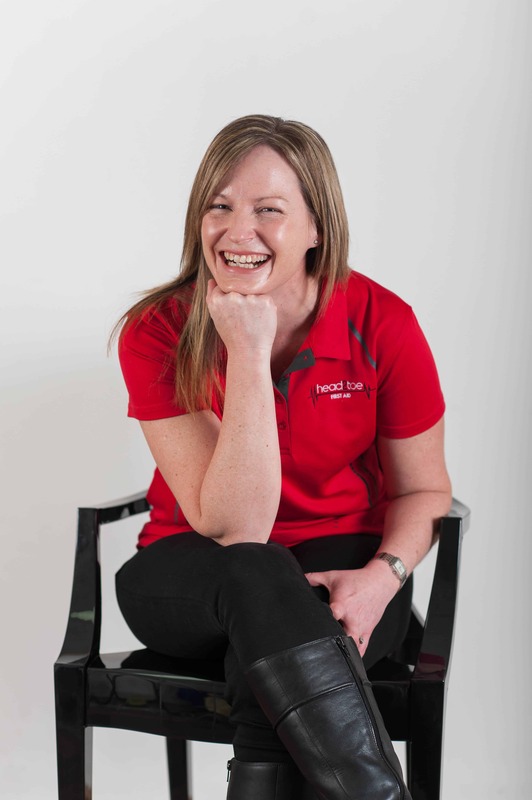 My name is Karyn, a Registered Nurse, a Trainer, the founder of Head2toe First Aid and most importantly a Wife and Mother. I saw situations where the outcome could have been different if people had known how to respond to the early signs of a medical emergency. I saw firsthand the anxiety, stress and fear that a first aid situation produced in people. I firmly believed the right training, delivered in the right way could alleviate a lot of this anxiety and stress and replace it with a feeling of confidence and empowerment. I also knew that I could remove many of the barriers that prevented a lot of people from doing a first aid course. The mission of Head2toe First Aid is to empower people by providing first aid training that is flexible, fun and relevant to the group’s individual needs. I believe that adults learn best in a relaxed environment where questions are encouraged and hands on skills are practiced. Wherever possible your course will be tailored to make it relevant to your situation and needs. You are important, and spreading the “first aid word” is my passion. This means our relationship does not need to end when your training does. I am only an email or a phone call away to answer any question that you may have or to help you debrief following an incident. Organisations, small groups and parent/caregiver first aid are my specialty. Let me empower you with confidence and show you how “doing something is better than nothing” through my interactive, fun and practical training style. I can’t wait to discuss your training needs.